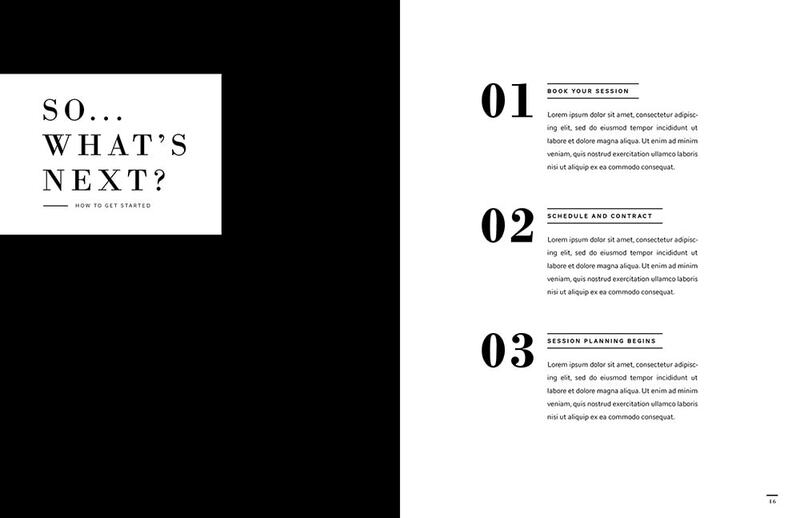 Educational guide & magazine template for client inquiries. Since 2010, Amanda Holloway has used “Client Inquiry Magazines” to educate her prospective clients. 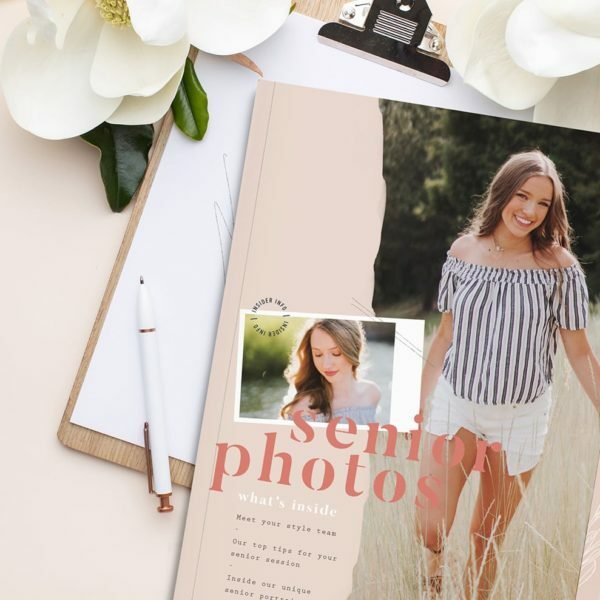 She pioneered this marketing method for the senior photography industry and grew her business overnight by using visual education to exponentially increase her bookings and cut down on her client inquiry workflow. Now, Amanda and The Modern Collective are making this concept available to all photographers in Engage: The Client Inquiry Magazine. 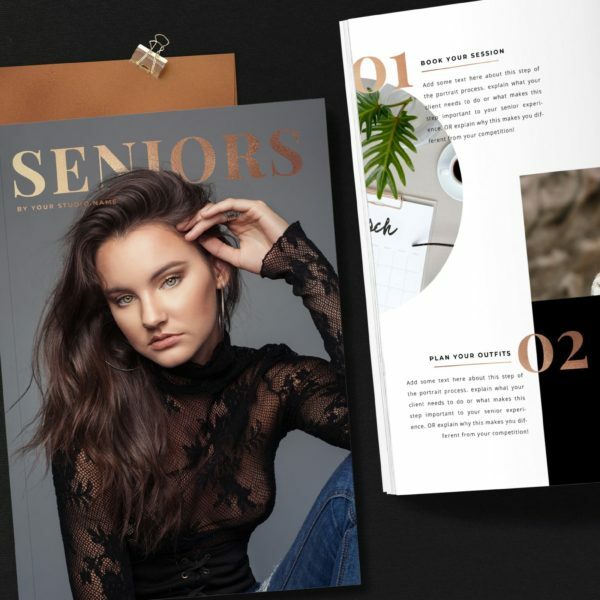 Learn how Amanda builds and uses her guide as you take a peek into her very own 2016 Senior Inquiry Magazine along with step by step details on how to create yours for maximum effect. 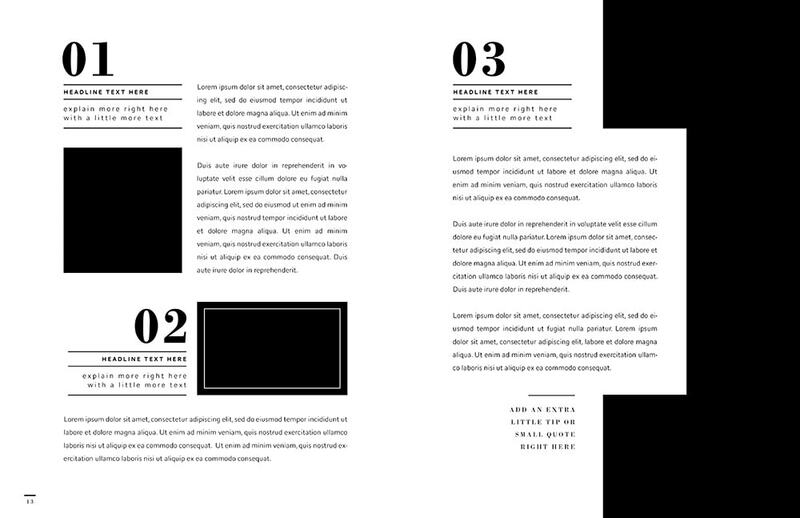 Two 30 minute video tutorials on how to use the PSD templates and incorporate your own branding to customize your very own magazine. 15 sample inquiry magazine spreads to inspire your design. Q: Are the images in the examples able to be used in the PSD files? A. No. 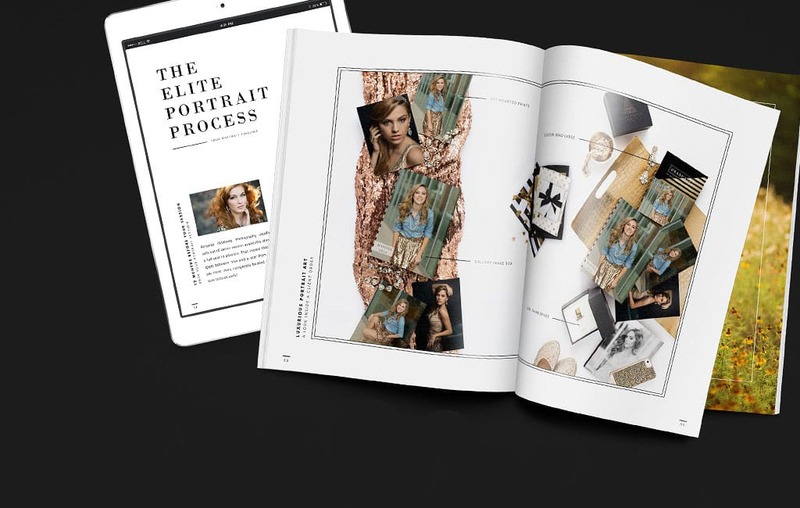 The images shown in the examples are to showcase how the magazine can be used to optimize client bookings and education. The purchasing photographer will need to use their own images and insert them into the prepared PSD files of the magazine. The templates are amazing clean and modern allowing for further branding. Q. 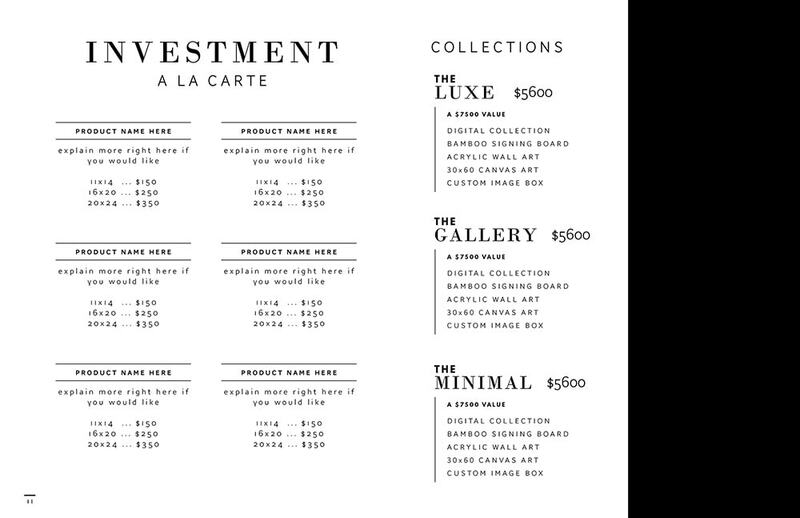 Can these templates be used for digital distribution, or printed magazine format? A. BOTH! 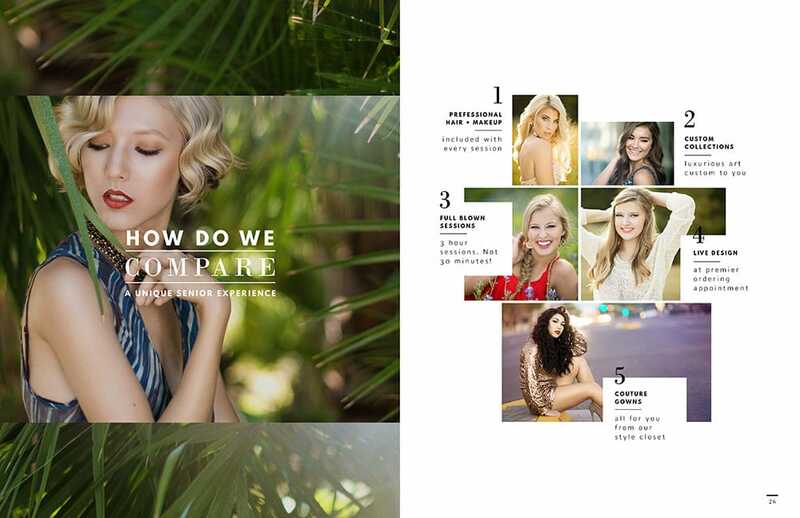 These templates can be sent digitally or printed in magazine format! Adam’s instructional video shares exactly how to publish in both formats. Q. What kind of information is included in Amanda’s educational guide? A. Amanda’s guide is extremely detailed in the art of building your client inquiry magazine. It includes information like using a “Table of Contents,” building visual interest before introducing your pricing and collections, meeting experience timeline expectations in your magazine, using your body of work in different manners to educate and so much more. It basically instructs you on the psychology of including specific strategies to engage your clients upon inquiry and following through to booking. This magazine is your hook…. you only have one chance to make an impression. 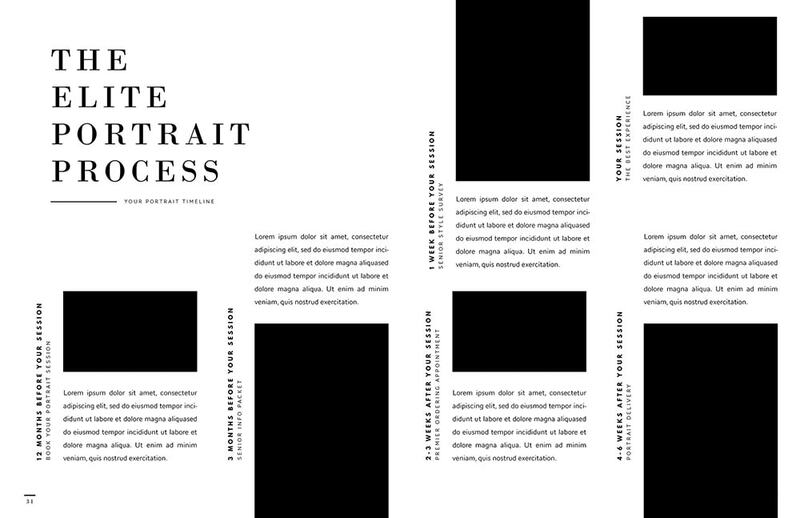 Templates included in this purchase are allowed for photography business ONLY as an educational guide to your potential clients in the flat and digital or printed form. Purchased use is intended for PERSONAL use to your clients only. You are prohibited from selling this product or any part of its structure including text, copy, design elements, the design itself, example images, videos, or any other intellectual property as a whole or part. This includes making profit from or sharing the previously stated items in digital or printed form. You are also prohibited from sharing this product with any other third party. COMMERCIAL LICENSE NOT INCLUDED.LEGAL ACTION WILL BE TAKEN IF THIS PRODUCT (PART OR WHOLE) IS SHARED OR SOLD TO ANY OTHER PERSON OTHER THAN THE SOLE PURCHASER. You may NOT purchase this guide if you live within 150 miles of The Woodlands, TX or Monticello, MN. “How does Amanda know? Better yet, how did Adam from The Modern Collective know? I needed to update my senior magazine. I had a custom magazine made almost 3 years ago and I outgrew it. The task was heavy on my mind. I knew it would take a lot of time which I did not have. And then this guide comes out! Not only did it fit the look and feel of my website, but I am able to customize it to fit MY needs. It has a gorgeous clean and modern feel to it. And it has room for all the valuable information you need to convey to your client! Don’t know what that is? Well the help is all here in this beautiful guide. The videos are a bonus and a great way to know what to put in your magazine and if you are not comfortable with Photoshop they hold your hand through the process. My favorite part? The pdf guide of a finished magazine to give you starting point. This is not something you would want to copy but instead insert your own voice. Sometimes just staring at those blank lines can be daunting but to gain inspiration to what others have put in there is super helpful so you can start typing and fill it with YOU! “What can I say . . . Amanda Holloway and The Modern Collective have done it again! Engage is NOT your average been-there-seen-that senior magazine template. It is the most inclusive and informative client welcome resource I have ever seen. 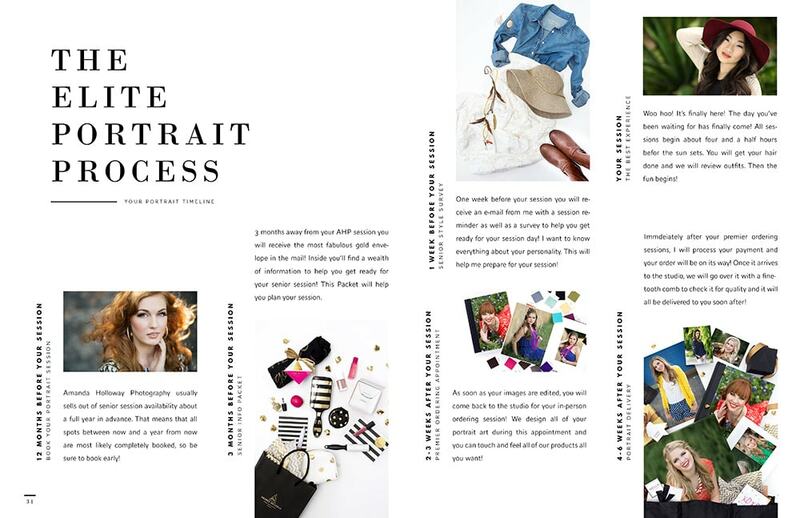 From inception to publication, Amanda & Adam share step-by-step instructions on how to make the perfect client welcome magazine for your business. Not only are the included templates gorgeous and easy to use, they have included a TON of educational information and instructional videos. Amanda’s detailed .pdf regarding the whys behind what to include in (and what to exclude from!) the magazine are invaluable in determining what information is appropriate for your magazine. Adam Hommerding’s how-to photoshop video is full of photoshop education and is a HUGE time-saver when it comes to actually creating your magazine! 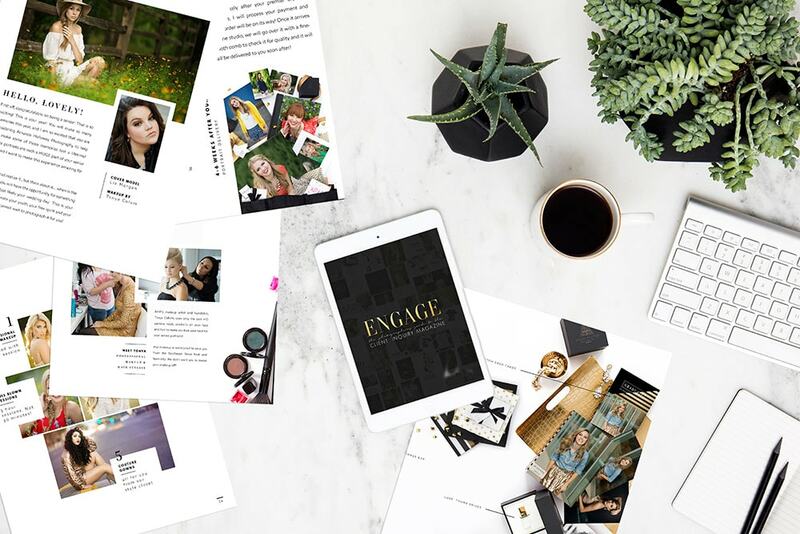 Amanda goes above-and-beyond in her branding video to help you customize the template to your brand, including information on how to chose the best images for your magazine and how changing the details will help set you apart!